The California Public Utilities Commission on Thursday created a new telephone area code for the western portions of Alameda and Contra Costa counties because it's projected to run out of available 510 prefixes by the second quarter of 2019. 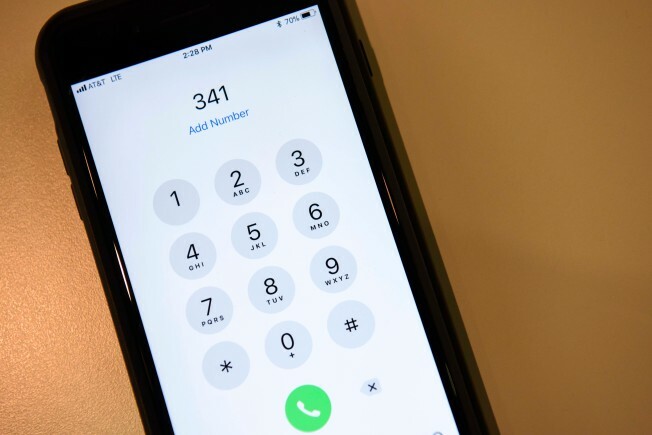 The new 341 area code will be mixed in with the existing 510 area code, the CPUC said. The new area code will provide additional numbering resources while minimizing customer inconvenience, the CPUC said. The CPUC said its action today approves a request by the North American Numbering Plan Administrator, the neutral third-party area code relief planner for California. Multiple area codes will co-exist within the same geographic region but existing 510 customers will retain their area code and specific telephone numbers, the CPUC said. However, customers will be required to dial the three-digit area code for all calls to and from telephone numbers with the 510 and 341 area codes when the overlay is effective sometime next year. But the CPUC said the price of a call will not change due to the overlay and customers can still dial just three digits to reach 911, as well as 211, 311, 411, 511, 611, 711, and 811. The CPUC said that to help prepare for the area code overlay, phone customers should contact security or alarm vendors to update dial-up numbers to avoid a break in security routines and contacts. The regulatory agency said people also should reprogram equipment or features, such as automatic dial, speed-dial, call-forwarding, modems for computers or internet dial-up access, that are currently programmed to dial seven digits so they dial 1 plus the area code plus the telephone number. In addition, the CPUC said people should update items such as stationery and checks to include their area code and telephone number. Before approving the area code overlay, the CPUC held public meetings in the 510 area code in Oakland and Berkeley on January 17, 2017, and in Hayward on February 15, 2017. The 510 area code was created when it split off of the 415 area code in September 1991. The 510 area code was split again when the 925 area code, which serves eastern Alameda and Contra Costa counties, was split off in 1998. The 510 area code serves the cities of Alameda, Albany, Berkeley, Emeryville, Fremont, Hayward, Newark, Oakland, Piedmont, San Leandro, and Union City in Alameda County and the cities of El Cerrito, Hercules, Pinole, Richmond, and San Pablo in Contra Costa County.